So you think you have what it takes to fly the F/A 18 Hornet in the Air Force. A game like StarCraft. The world has gone into darkness and its your job to save it. Another defend something game. Get rid of all those annoying stick men!Use the MOUSE CLICK to fire. Just like the arcade fighting game Super Fighter. A 2 player game. 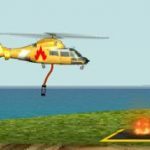 Shoot down the enemies using your helicopter.See game for specific player buttons. Help save the beautiful butterfly from the spider's web.LEFT MOUSE CLICK, and 1, 2, 3 for actions. Battle the oncoming enemies and keep your tank alive.MOUSE to fire, E for missles, and W,S,A,D to move.